New Jersey has a wealth of mini golf courses. Mini golf is a fun and inexpensive way to spend quality time with the kids while being outdoors. Or with many new indoor courses opening up you can beat the heat or extend the summer fun when the weather turns colder. 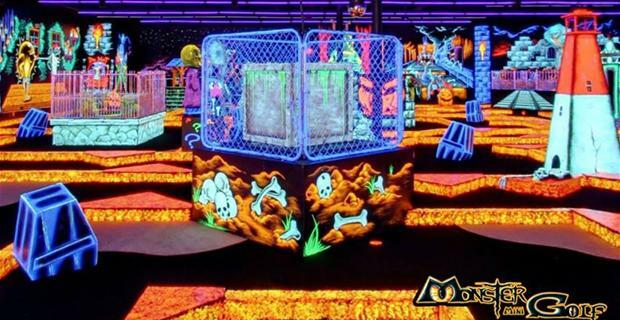 From pirates to safaris, the challenges abound as you navigate your way in hopes of scoring that hole in one! Check out the list below to find a course near you. Skyline Mini Golf 600 Main Street, Woodbridge at the Woodbridge Community Center boasts a challenging 18 hole water themed course with views of the New York City skyline. Water obstacles and uphill putting greens abound in this state of the art mini links. Essex County Safari Mini Golf is located on the corner of Cherry Lane and Northfield Ave in West Orange. Experience a taste of Africa as you putt around a life size gorilla, hippo and many other African creatures.